Waste not; want not, I always say! 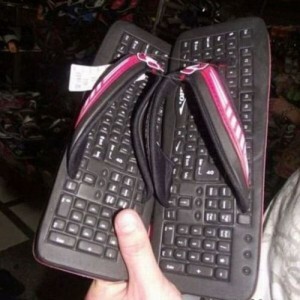 Wh y recycle those old keyboards when you can make sandals out of them? Also, you could type your emails while walking around town! 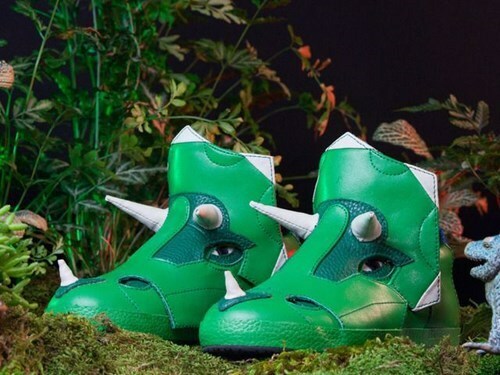 This month’s ridiculous shoe comes to us directly from the Jurassic Era. What better way to fend off would-be predators than with your Tricera[high]tops! April showers? You don’t have to worry about wet shoes anymore, these shoes with umbrellas built-in have you covered! Happy New Year! In honor of all the new toys the kids got for Christmas, the Ridiculous Shoe for January is made from the toy that is the nemesis of bare feet everywhere. Legos! 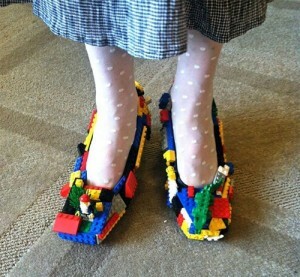 We sure hope that these Lego shoes are more comfortable than walking on loose Legos! 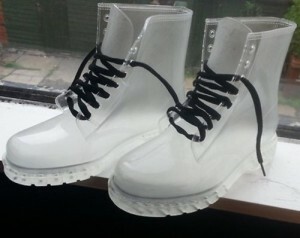 With all the harsh weather lately, this month’s ridiculous shoes are boots. These transparent boots are sure to get you noticed on the job site! You had better be wearing clean socks! 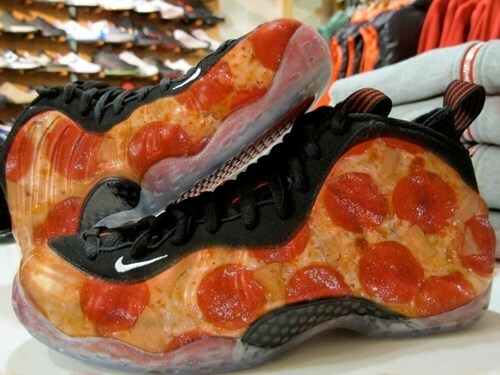 The Ridiculous Shoe for this month is guaranteed to make people do a double take. 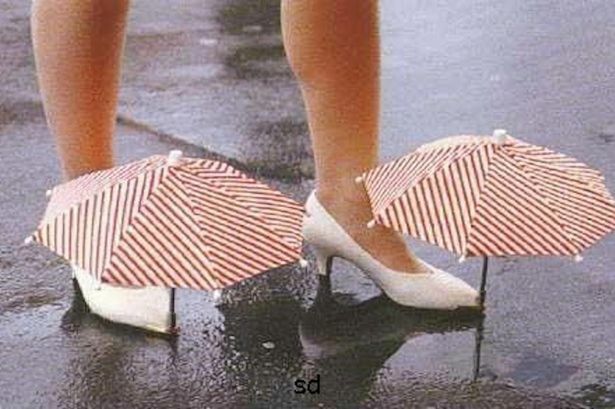 With the added bonus of a built-in pedicure! 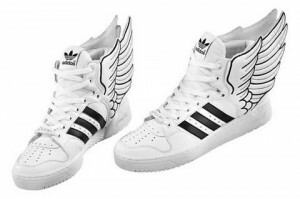 September’s Ridiculous Shoe is the athletic shoe version of Mercury’s winged sandals. Perfect for those days when you want to feel like the Messenger of the Gods! 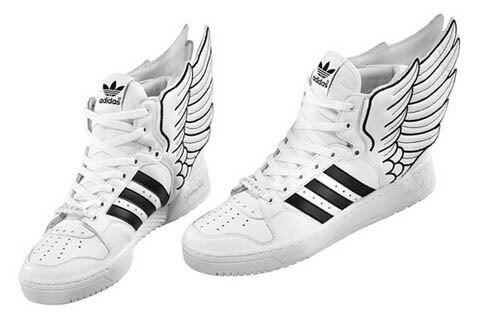 We don’t, however, recommend attempting flight while wearing them. Onward, my trusty steed! 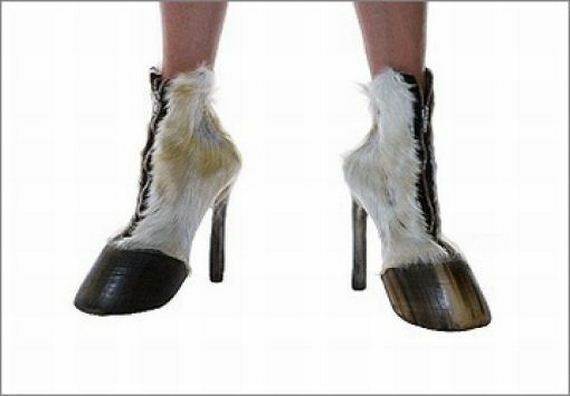 This month’s entry for the Ridiculous Shoe of the Month allows the wearer to fulfill their equine fantasy, at least for their feet. The question we have is: Do you need to wear horseshoes on your horse shoes?